Make your home pay you for a change. 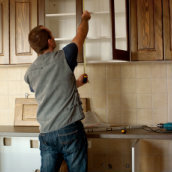 Use your home equity as collateral and take out a loan to fund home improvements, medical bills, college, and more. We offer low interest rates, affordable payments, and local service from start to finish.